This education kit has been developed to help students understand and appreciate the richness and diversity of Aboriginal and Torres Strait Islander art through key works in the collection of the Art Gallery of New South Wales. In focusing on significant artists or groups of artists and their work, we hope to provide and introduction to the many forms of Indigenous art practices and related issues and ideas. Each of the 16 artists sheets focuses on two significant artists or groups of artists. The student activities and questions are grouped into two main areas: K-6 activities and 7-12 framing questions. 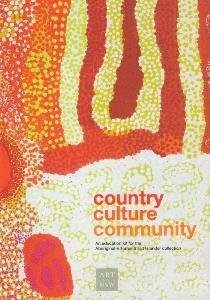 Both have been prepared with reference to a variety of New South Wales syllabus documents and in accordance with the principles outlined in the Working with Aboriginal and Torres Strait Islander Art Section of the framing essay. This kit is designed to complement a visit to the Art Gallery of New South Wales to view the original works and provides pre- and post-visit resource material and strategies for engaging with the artwork during a visit.